Bright and early at the Doctor's office. Waiting I knew. I didn't want to know but as my Doctor read out the report reality hit me. Invasive Mammary Carcinoma. Breast Cancer. 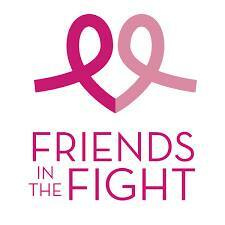 She went through my family history and with no breast cancer in mother or sisters she said it could be environmental. Immediately I was angry, then I thought of Veer and him seeing everything that could be as treatment for Breast Cancer. She gave me the name of the surgeon that she highly recommends and said his office would call with an appointment. I walked out and called Ron. Melted for a few moments, drove home and decided that this was just some stupid thing we had to deal with getting in the way of all our other plans. Well, we would not let it get the better of us! We are strong and will do whatever it takes.